Do you feel tired of running out staple refill whenever you need them most? Do you feel tired of removing those staples before you put your papers on shredder? The Harinacs Kokuyo stapler doesn’t need to be refilled with staples. This means you could do budget cut for staple costs while also helping world to conserve steel, aluminum, zinc, and other metals used for staples. For those with young children, Harinacs Kokuyo is also safer than conventional stapler. Basically, this stapler uses your own papers to tie themselves. It’s like a puncher, but clever. If we observe the product in slow motion, then we could see that firstly it will punch your papers into a kind of “tongue” shape. In the same time, it also makes a line at the end of that shape. After that, it could slip the punched “tongue” shape papers into the line and your papers are tied together instantly. I have already bought this product so I could tell you that I’m feeling very pleased with this. Depends on the specification, the Harinacs Kokuyo staplers are available in different capabilities to handle different thickness of papers. Mine is able to deal with 5 sheets without any problem. 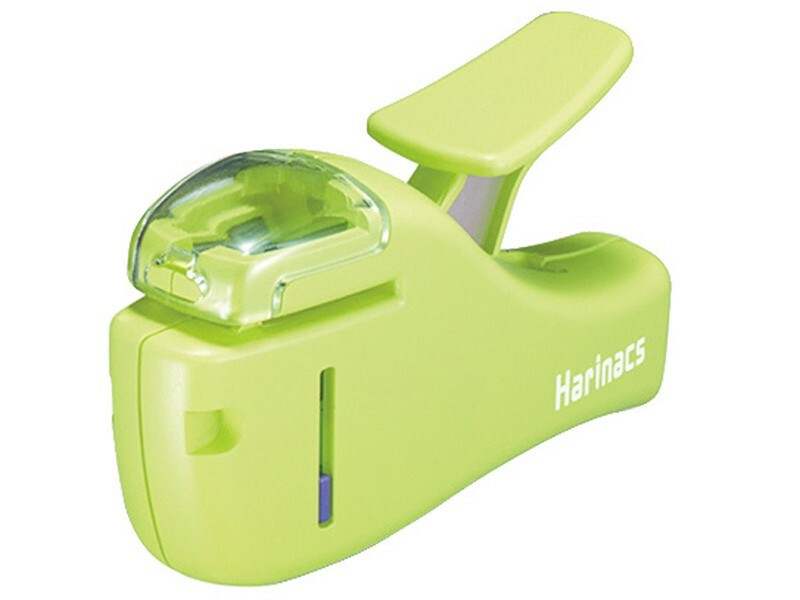 The official website even said that there is also different Harinacs Kokuyo stapler which able to handle 8 sheets. This way, I don’t need to supply myself with staples refills anymore. For those who work with shredder, you don’t need to equip yourself with staple remover anymore. 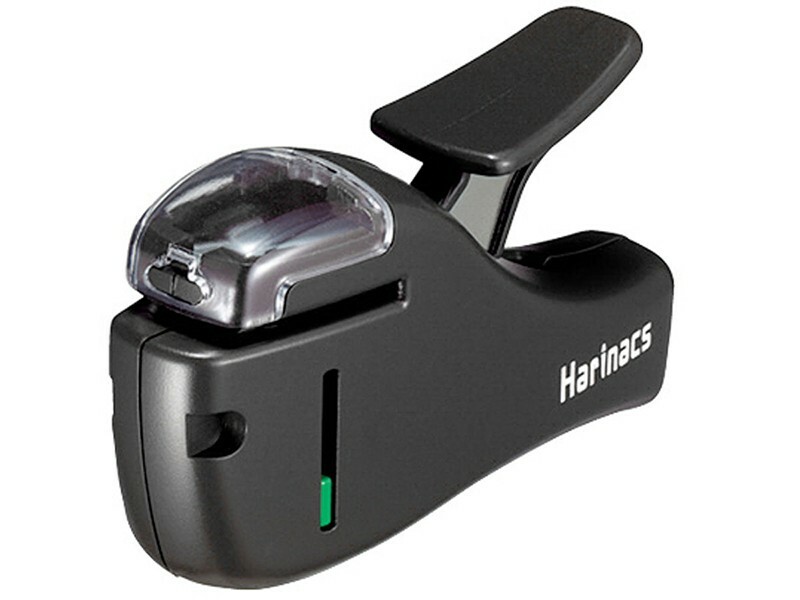 With Harinacs Kokuyo in your hand, you could instantly put your papers on shredder. 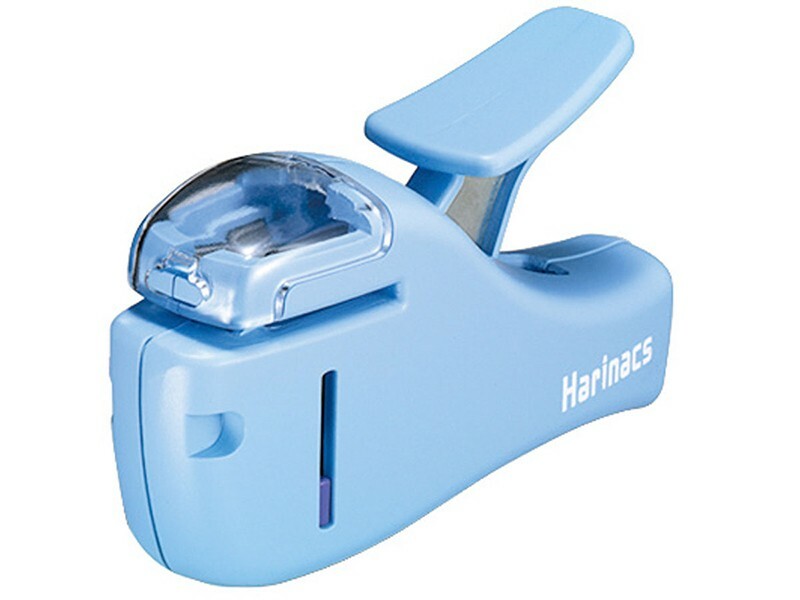 However, the Harinacs Kokuyo stapler is still quite expensive. I bought it on local bookstore near my place for about $23.8 (Note: I live in South-East Asia region). In the mean time, this smart stapler could handle thin stack of papers, but I think Kokuyo is going to make more innovation and developments in the future. And for this brilliant innovation, Harinacs Kokuyo really worth the price.